Our flagship property, the Orianne Indigo Snake Preserve (OISP) is a largely unfragmented stretch of land located along the Ocmulgee River in South Georgia. The OISP provides a place where Eastern Indigo Snakes, Gopher Tortoises and Eastern Diamondback Rattlesnakes can survive forever. The protection of the Longleaf Pine and sand ridges within the OISP provide critical habitat for these species to overwinter and bottomland forests and swamp habitats for summer foraging areas. The OISP is a total of 48,704 acres. We currently own about 2,607 acres, and another 8,678 acres are managed as conservation land by the state or private landowners. In addition, local private cooperators have dedicated 1,665 acres to promoting the conservation of Indigo Snake habitats on their property. Ultimately, we plan to maintain approximately 75 percent of the preserve as conservation land through ownership and partnership programs. The Orianne Society’s Land Protection Program works with partners in the region to develop a core protected area centered on some of the largest remaining Eastern Indigo populations in the northern extent of their range. Our preserve connects to an existing network of protected land, including a State Wildlife Management Area and a Nature Conservancy Preserve. To address the threats of habitat loss and fragmentation, The Orianne Society works in conjunction with these partners, and together, we can provide important Eastern Indigo Snake habitat that will be protected and managed properly in perpetuity. We continue to work on expanding the size of the preserve by acquiring additional properties and working with partners on conservation easements. In consideration of the large spatial requirements necessary for Eastern Indigo Snakes to persist, conservation strategies depend on protecting large, contiguous sections of unfragmented habitat. Because Eastern Indigos require certain habitat types seasonally, the configuration and proximity of habitats within a preserve are also important. 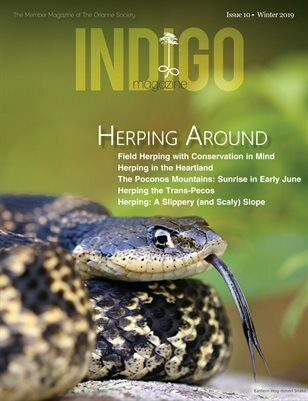 Protecting larger preserves that include a diversity of overwintering and summer foraging habitats will increase viability of Indigo Snake populations.